on Writing, Publishing and Market a Book! Bruce Goldwell treats the subject of writing, publishing and marketing a book like it is a recipe. How To Write, Publish & Market A Book is a reference guide that first-time authors can use to have everything in place so they can self-publish their book. 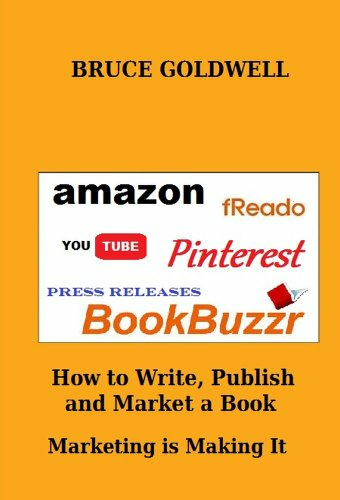 This book is an easy to understand guide that touches on the basic's of how to successfully prepare for publishing. Bruce practices one of the core principles that Jill Lublin (author of “ Get Noticed... Get Referrals: Build Your Client Base and Your Business by Making a Name For Yourself.”) teaches – that building networks and using referral-based marketing is central to ones being successful. When people work with each other they can achieve outstanding results. How To Write, Publish & Market A Book not only gives first-time authors some helpful information on writing, publishing and marketing their book, but also gives authors some useful recipes they can use so they can eat heartily while writing. Goldwell shares personal recipes he has developed over the years which includes the recipe for his SizziQ© Basic BBQ sauce. A recipe created by Shawn Bucher, Gourmet Chef and Author of The First Timers Cookbook. 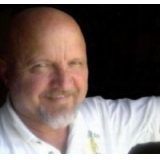 Bruce is the administrator of a group on Facebook called The Writers Network and a few of the authors in the group have also shared their favorite recipes too. Bruce invites first-time authors that read this book to join The Writers Network on Facebook so they can network with authors in the group. This book is not intended to be a master's guide for new authors but rather a guide to help get first-timers on the right path and through the process of publishing their first book.